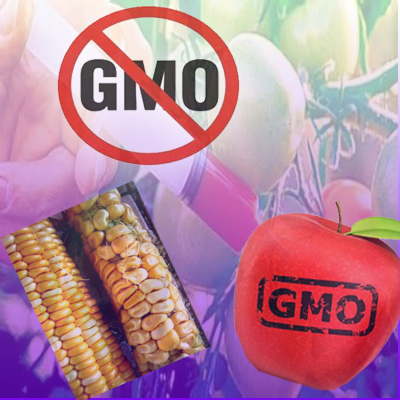 GMO stands for Genetically Modified Organism - Simplified, it is the scientific crossing of genetic DNA material either in an animal or plant with DNA from other organisms like bacteria, viruses or other plants or animals. You might think there is no way that a mad scientists could get away with tampering with the genetic component of the very food that we (humans) eat, yet that is exactly what major biotech companies have done. Not only that, but GMO's have infected the majority (well over 90%!) of the food supply here in the U.S.! Who gave these biotech companies permission to experiment on human beings without knowledge? No one, they gave themselves permission to do it and even patented the genetically modified versions of the contaminated foods for maximum profit to include fruits that don't yield seeds. Do the people buying and eating these scientifically experimented food know they are eating this? No, most people have no idea they are eating food that is genetically contaminated with DNA from mixed species, and that these GMO contaminated foods can cause severe compromise of their own health and cause irreversible genetic blueprint damage. No way this is possible, how is no one saying anything? Actually, many people are speaking out, but in the past their voices have always competed with the large biotech companies and their mega million $$ dollar propaganda campaigns designed to convince the average American that GMO labeling is a waste of money and or that GMO food is safe for human consumption. The companies selling the GMOs have also donated huge amounts of money to fund anti-labeling campaigns in every state. Are other countries doing the same? No, not at all. 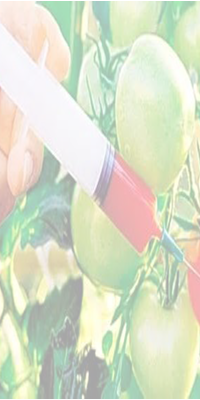 Many if not most developed countries (including China, and the EU) have either significant restrictions or have outright banned GMO contaminated food because they don't consider it safe. 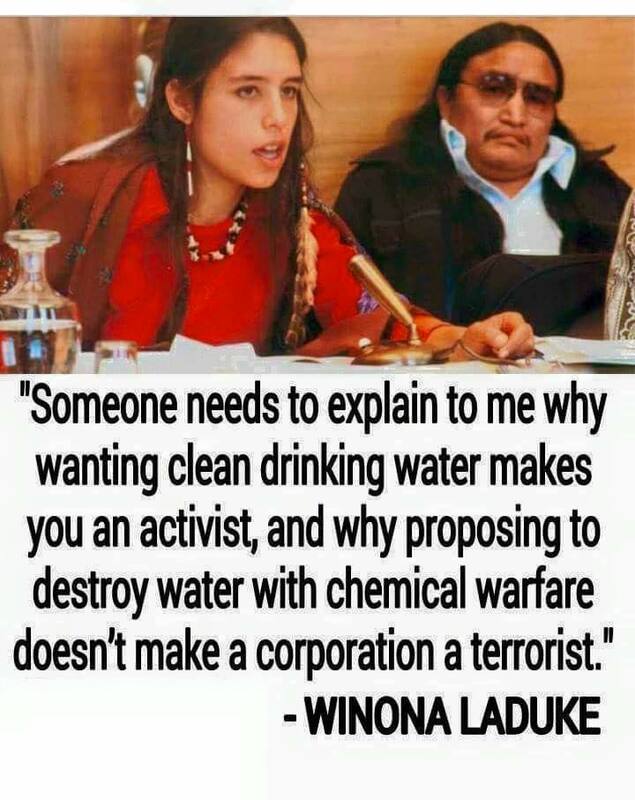 The United States is essentially a laboratory of evil when comes to this issue, and as mentioned earlier, most Americans are completely ignorant of what is happening! How can this be happening in America? America has been taken over by special interest groups for some time now. In the absense of mandatory labeling these special interest groups pay out big dollars to influence legislation to keep GMOs a secret and keep GMOs in almost every store. Meanwhile, the average Americans have lost their collective voices. With TV sets in almost every home, the wide spread reach of entertainment distraction, pharmaceutical drugs, alcohol, fluoride in the water, and an educational system that teaches Americans to do as they are told instead of thinking critically, what we are seeing is an experimental nation of people under a mass hypnosis who are not inclined to act, speak out or think on their own, much less to examine closely what they are eating or what they are being told about their own food. How can we begin to change this madness? Share this information. Education and awareness is always the first step to solving these problems. Get involved in your local community and take action to pass legislation for labeling and ultimately banning all GMO foods. Also do your part to not buy GMO foods and actively support farmers and your local farmers market. Watch some of the vidoes posted to the right and share this information with family and friends. But how do I know what is GMO and what isn't? Unfortunately it can be very difficult to know exactly what is GMO contaminated but in the U.S. it is estimated that up to 80 % of conventional processed food is contaminated with GMO. Here's a list of GMO risk crops. As for non-GMO foods, again it is best to buy food at your local farmers market and look for labels that say organic. Here is a list of verified non-GMO products. For more information on GMO's and NON-GMO labeling please visit NonGMOProject.org which is where most of the links provided above are from. Like any government agenda, the movement to keep GMOs on the market and legal is alive and well. See this classic disinformation website calling themselves 'GMOAnswer' .com, designed to remove the fear of GMO's by spreading disinformation, and keep people in the dark about the dangers of GMO's. Are there any scientific studies done with GMO's to prove their danger or safety?